In the news of late has been pronouncements from journalists of the US government spying on its citizens. While the government spying on its citizens is not unique in American History; a quick tour of the history tells us that, smashing dissent has been pretty consistent throughout Americas evolution as the next Empire. The NSA was created in 1952 by order of President Harry S. Truman, and began its mission gathering communications intelligence of foreign countries. 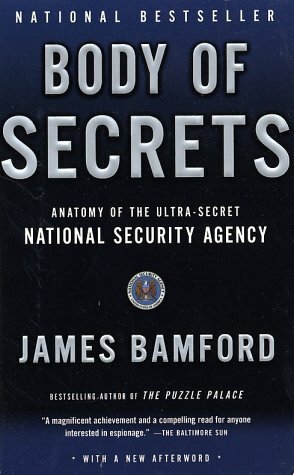 Prior to NSA's formation the US government actions were typically brutal, hypocritical, and created mistrust between people who would have otherwise coexisted just fine. The framers of the US constitution had their own selfish reasons for throwing off the yoke of British tyranny. They were landowners, businessmen, and leaders with ambition, and plans to secure their own wealth. Why not form your own country to do it ? The framers were philosophically in two different camps. The individual, self determination camp, led by Jefferson, and the Federalist camp, which supported government intervention wherever it seemed "justified", led by Alexander Hamilton. It was Hamilton who said the "vigor of government is essential to the security of liberty" A direct contradiction to the values of self determination the Democratic-Republican party held dear. 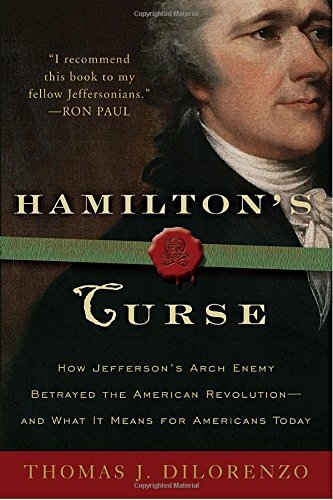 Hamilton was an enemy of the people; a power hungry man who advocated for a "permanent president" who would appoint governors much the same way a king would. When the other framers wouldn't play along with his brand of despotism he walked out of the Constitutional assembly pronouncing the document as a "frail and worthless fabric". He had quite a way with words didn't he. Hamilton is the man who, since he was a lawyer, interpreted the Commerce and General Welfare clauses as having ultimate power over the states. 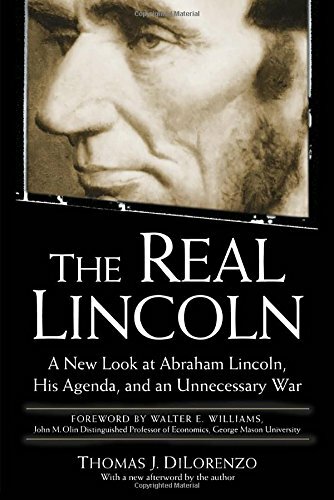 Lincoln 60 years later took this idea and consolidated the federal government authority over its citizens during the civil war. No wonder Thomas Jefferson considered him a dangerous and corrupt man. The Lincoln administration is the patriarch of the modern surveillance dissent crushing state. During the Civil War tens of thousands of Northern political prisoners spent the duration of the war in a series of American Gulags. Lincoln stated that "the man who stands by and says nothing when the peril of his Government is discussed cannot be misunderstood. If not hindered, he is sure to help the enemy; much more if he talks ambiguously — talks for his country with "buts" and "ifs" and "ands." Lincoln imprisoned everyone from average everyday hard working people to mayors, state legislators, business owners, newspaper editors, and ex governors. The joke among the imprisoned was the Fort Lafayette was the only place a man could speak freely. Congressman Clement L. Vallandigham (D-Ohio) who on May 5, 1863, suffered as sixty-seven heavily armed soldiers broke into his home in the middle of the night and dragged him off to a military prison. Vallandigham railed against the abuse of power by the Lincoln administration. On July 10, 1861 he made a speech on the floor of the US House of Representatives, in this speech he denounced Lincoln for the "wicked and hazardous experiment of call thirty million people to arms among themselves, without counsel and authority of Congress." Congressman Vallandigham full speeches of that period can be found today on Amazon. The Congressman was deported by the Lincoln administration since having this principled eloquent individual making speeches on the House floor was a direct threat to the false propaganda perpetuated by the Lincoln regime. Vallandigham challenged the notion that the constitution had to be "destroyed" in order to save it. He rebuked the administration for its out of control spending, the looting of the tax payer by corporations, and that high tariffs and high taxes would not create prosperity for the average American citizen. A familiar theme that rings true to this day. President Woodrow Wilson continued this oppression during America's entry into World War 1. Wilson stated, "Woe be to the man or group of men that seeks to stand in our way in this day of high resolution." His attorney general Thomas W. Gregory seconded the president, stating, about those who opposed the war: "May God have mercy on them, for they need expect none from an outraged people and an avenging government." The horn of oppression sounded once again as the engines of the American war machine began to rev. It was during this time that the Espionage Act of 1917 and Sedition Acts of 1918 made it a crime to interfere with military operations, criticize the flag, the military, or the government. The Act also gave the US government the power to seize and read the mail of citizens. Sound familiar ? Another individual who felt the jack boot of American "justice" during this time was a man name Eugene V Debs. Debs ran as a presidential candidate during 1912, getting close to a million votes. Was sentenced to ten years in prison for criticizing the war during a speech to his supporters. Would any person in this day and age even of conceive of taking such a principled stance against the murdering of innocent people. Not until Ron Paul would congress see a principled politician. Debs, who had polled 900,000 votes in 1912 as presidential candidate of the Socialist Party, was sentenced to ten years in prison for criticizing the war at a rally of his party. Debs even ran for the office of President from his jail cell. Even though the man was a socialist he believed in peace, and freedom, not coercion for war. War fever was paramount to the privileged few who would stand to profit from American entry into the war "Over There". World War 1 opponents were attacked by vigilantes, and on at least one occasion lynched antiwar dissenters. German citizens had it worse as they were harassed, spied upon, even Lutheran ministers targets of bullying government agents. During World War 2 President Roosevelt collectively rounded up Japanese citizens to be relocated to "internment camps". Some Japanese resisted the internment who were sent to an isolated part of New Mexico. Roughly 110,000 Japanese persons were sent to ""war relocation camps", and the West Coast was pretty much off limits to Japanese. Roosevelt at the time ordered his generals to declare areas exclusion zones or military that specifically excluded Japanese. More absurdly these rules were hardly applied to Japanese living in the Eastern half of the United States, and of all places Hawaii; where roughly less than 1% of Japanese living on the island were "relocated". An interesting footnote the terrible treatment of US citizens by its government was the Theodor Suess Geisel (Dr. Suess) and created a series of cartoons celebrated this treatment with a series of cartoons. Roosevelt didnt stop with the Japanese. The US government went after the isolationist Lawrence Dennis and 29 others who held fervent anti war views. The US government accused them of treason and sentenced them to jail. Isolationists was the terrorist word of the day, to be called an isolationist meant you were some deranged loony. Charles Lindbergh was a outspoken opponent of Americas entry into World War Two. As part of the America First Committee they organized rallys and speeches throughout the country. Antiwar war sentiment was strong in the heartland, ironically enough among German immigrants who settled in the Midwest. Leaders of the America First Movement were maligned, isolated poltically, and couldnt do much to stop the wave of war fever. The US government made sure that everyone was on board to fight Nazism and Japanese expansion. Concientious objectors were sentenced to lengthy prison terms even if objections were based on religious grounds, as the Quakers unfortunately found out first hand. The powers that run the government today have and will always make it their purpose to maintain power over its citizenry. The sweeping up of large chunks of personal data for specific reason is a temptation to do evil, no matter how principled a person is. The only recourse Americans have is to not to participate in this system, taking steps to secure your privacy, your money, and your livelihood.